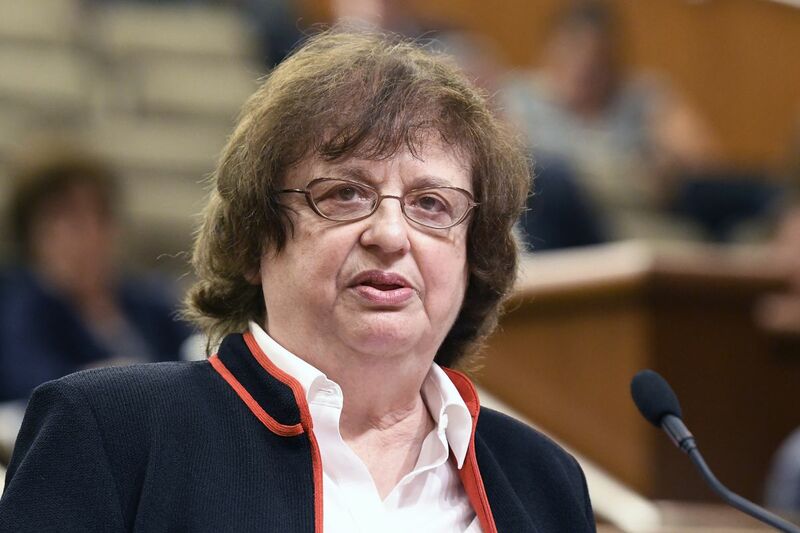 NEW YORK, N.Y. -- Attorney General Barbara D. Underwood today announced the creation of the CAMS (Capture an Account of a Material Situation) program, which will help equip local law-enforcement agencies in New York with body-worn cameras. Body-worn cameras create independent accounts of encounters between police and the public, increasing transparency and accountability and often providing critical evidence in investigations. The CAMS program dedicates $2 million of funds seized as part of joint federal-state organized crime prosecutions to fund the purchase of body-worn cameras. "Body cameras help ensure increased accountability and transparency during law enforcement interactions," said Attorney General Underwood. "Yet too often, local police departments don't have the resources to buy them. The CAMS Program will provide much-needed funding to local governments to purchase body cameras, benefitting all New Yorkers as we work to ensure safe and fair communities." Have between 130 and 3,000 sworn officers. Be a local town, city, or county police agency (not a state agency). Submit the online application by September 7, 2018. Participate in the U.S. Department of Justice Equitable Sharing Program. Be able to secure a cash match, covering 25% of the total spend amount. Local law-enforcement agencies with 130 to 400 sworn officers can request up to $70,000 in grant funding, and are responsible for securing up to a $23,333.33 cash match. Local law-enforcement agencies with 401 to 3000 sworn officers can request up to $150,000 in grant funding, and are responsible for securing up to a $50,000.00 cash match. If a municipality allocated money to the participating law enforcement agency to create or expand a body-worn camera program in the most recent municipal budget, that allocation can count toward the 25% match; however, the OAG grant cannot be used to purchase cameras that the agency has already committed to purchase through the budget allocation. "This is about accountability and fairness," said Westchester County Executive George Latimer. "I thank the Attorney General for making money for local police departments to access body cameras available. Having an independent completely fair eye watching the actions of all parties involved is the way to ensure a path to the truth." "Rochester's Body Worn Camera program has shown itself to be a very effective component of our efforts to create safer and more vibrant neighborhoods, which supports our goals to create more jobs and better educational opportunities," said Rochester Mayor Lovely A. Warren. "The Rochester Police Department's experience demonstrates that Body Worn Cameras help build a higher level of trust among police departments and the communities they serve, which makes citizens and officers safer. I want to thank the Office of the Attorney General for making this investment to help communities overcome the often prohibitive costs of launching Body Worn Camera programs and expanding the use of these programs." "Effective implementation of police body cam programs can help improve the relationship between police and their communities, but they require resources," said Syracuse Mayor Ben Walsh. "We appreciate the help of the Attorney General's office to provide funding that can help cities like Syracuse cover the cost of camera acquisitions." In 2015, Executive Order No. 147 appointed the Attorney General as special prosecutor in incidents where a law enforcement officer causes the death of an unarmed civilian, or where there is a significant question as to whether the civilian was armed and dangerous. This led to the creation of the Special Investigations and Prosecutions Unit (SIPU) within the Attorney General's office. SIPU has launched investigations of several incidents across New York State and issued public reports detailing the evidence collected and providing policy recommendations aimed at improving law enforcement practices. SIPU has repeatedly recommended the expansion of body-worn camera programs. As one SIPU report noted, "Indisputably, videotaped evidence would have greatly facilitated the investigation of this case." The CAMS program builds on body-worn camera recommendations made in SIPU reports by providing local law enforcement agencies throughout New York State with the opportunity to obtain funding to create or expand a body-worn camera program. For more information on the CAMS program and to access the online application, please visit: https://ag.ny.gov/cams-program.